A.G.E. Stop products are designed to PREVENT your skin from showing signs of ageing, PROTECT your skin from developing signs of ageing and to CORRECT signs of ageing that your skin may already have. A.G.E. 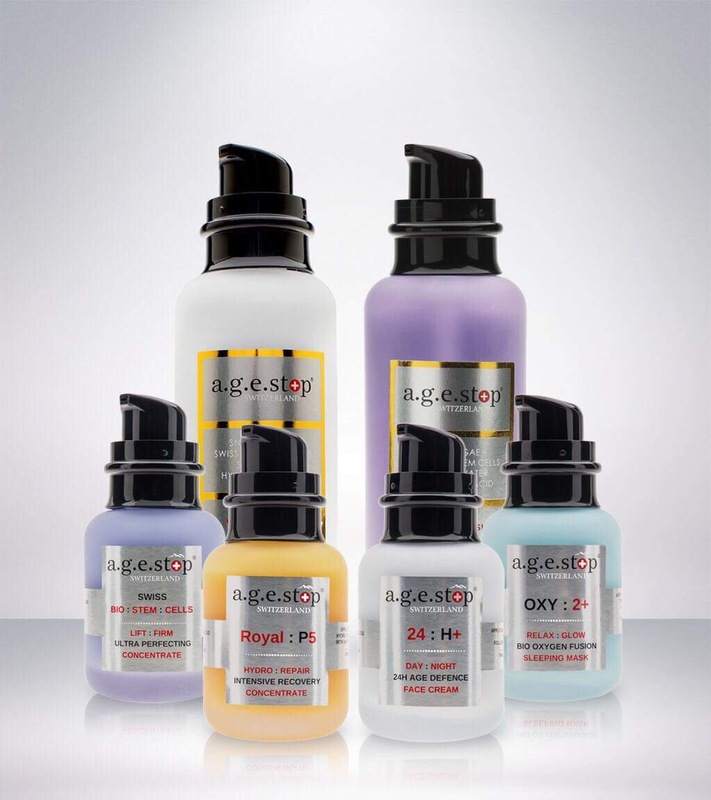 Stop products are Paraben Free and contain UNIQUE anti-ageing ingredients such as SWISS PLANT STEM CELLS of Alpine Rose, Edelweissand Nunatak, a selection of AWARD-WINNING PEPTIDES, BIO-OXYGEN fusion, Hyaluronic Acid, SEMI-PRECIOUS PERIDOT stone extracts and PATENTED SWISS SNOW ALGAE. Our ingredients have been derived using the latest Swiss Bio-Technological innovations designed to protect the unique potency of each ingredient.